I needed an immediate extra rack as the shrimp and plant business continues to grow and expand, so a few weeks ago I started in on it. 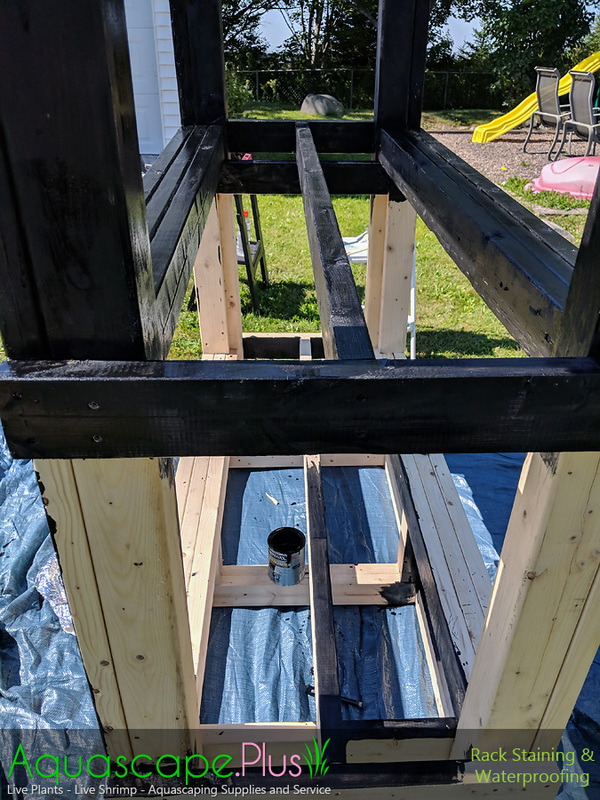 What I wanted was something really sturdy, so went with 4x4 main posts and 2x4 reinforcements, and then plywood for added stability. 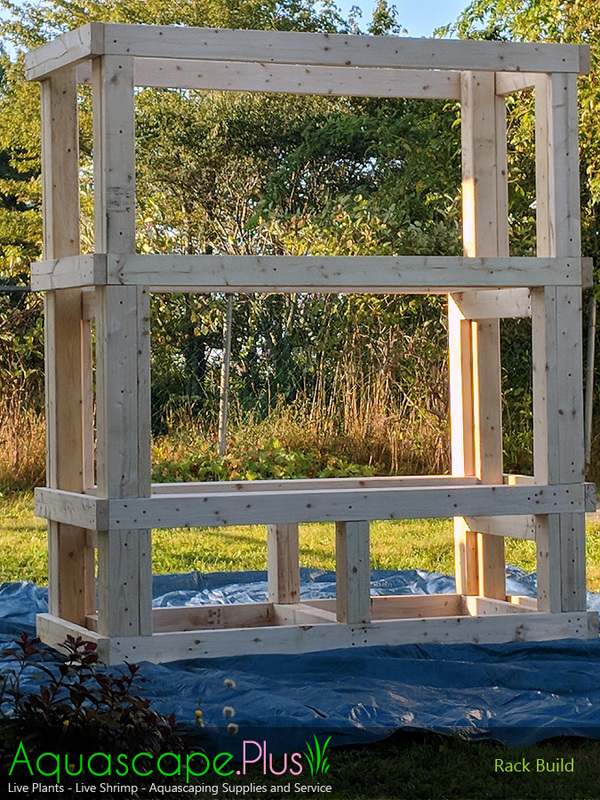 I dediced to build it outdoors as I prefer working outside. Once I had the lighting, plumbing, and substrate all added, I added the water to the holding tank. I then setup 4 new shrimp holding tanks. 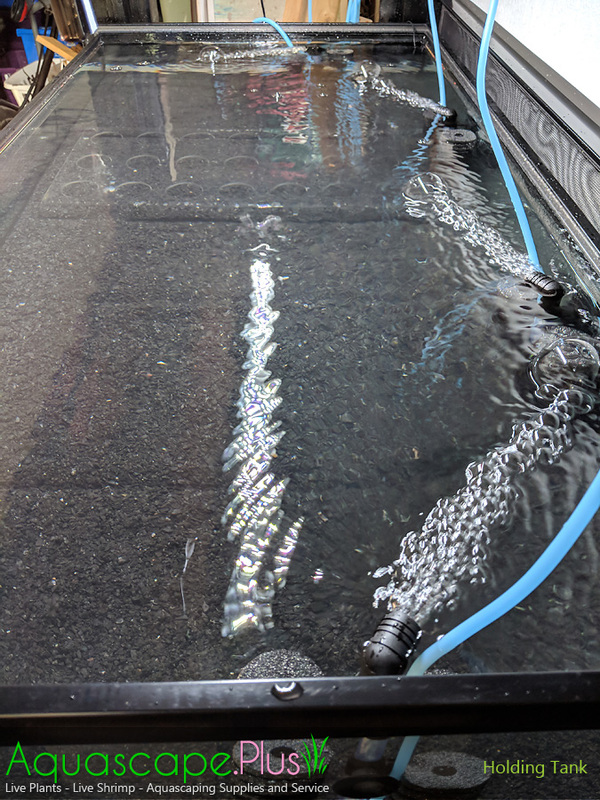 Before adding any shrimp, I wanted to get the tannins in the water, and get the temperatures, PH and water chemistry accurate. While waiting for that, started adding some plants to to the holding tank. I'll, of course, be adding plants and shrimp-friendly decor prior to adding the shrimp. This will be one of 3 additional racks I am building. 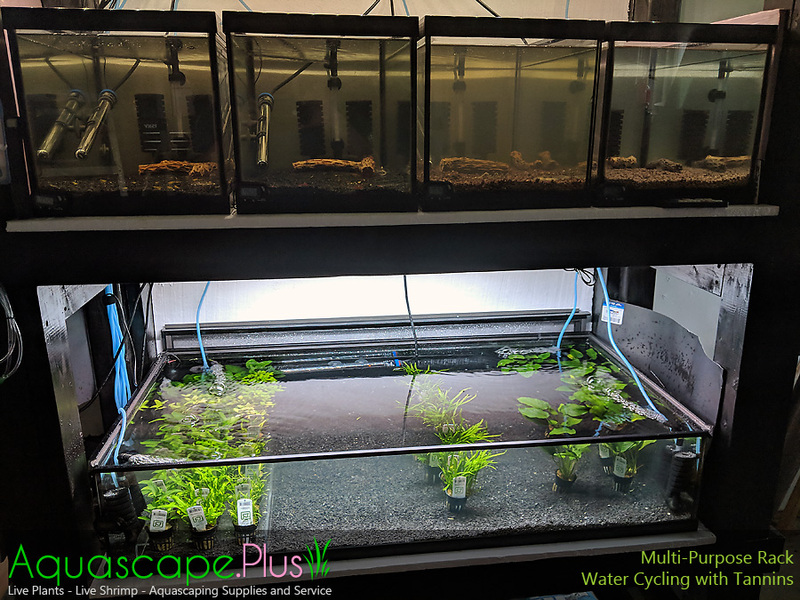 All of them will be multi-purpose and designed to handle specific tasks (specific shrimp species, specific mosses, high demand red plants, etc). But, it's a good start, and it complements my existing plant holding tanks. ETA: a shout out to Aquarica for supplying just about everything I needed, and, more importantly, when I needed it. Awesome store and staff. Looks great, would love to see how all 3 racks look together!